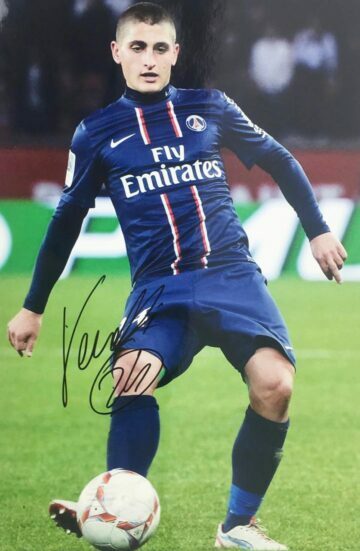 Shop our signed PSG shirts, boots, gloves and mounted photo displays autographed by the squad. 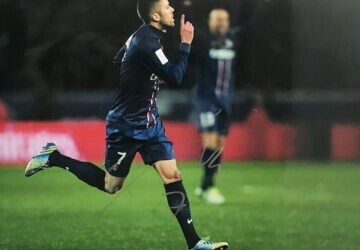 All Paris Saint Germain signed memorabilia comes with worldwide shipping, free UK delivery and a certificate of authenticity. Based in the heart of Paris, Paris Saint Germain Football Club (most commonly known as PSG) is arguably one of France’s best-known and most successful football clubs. 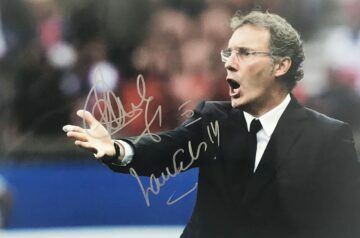 It is one of only two French clubs to have won a major European title and hold the record for the club occupying the most seasons in top-flight football. 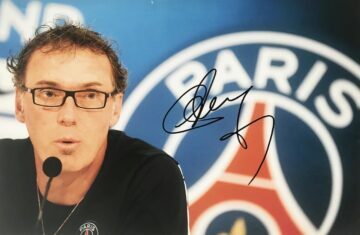 PSG is also the only French club to never have been relegated from Ligue 1. Founded less than 50 years ago in 1970, they are one of the youngest clubs in Europe to experience major success. It began to attract its first stars in 1973 under the leadership of Daniel Hechter, securing their first silverware in 1978. But it is in recent years that the club has really come into its own. Since the early 1990s it has established itself as a French institution both culturally and within the realms of football. Domestically they have secured seven Ligue 1 titles, a record-breaking 12 Coupe de France and a record 8 Coupe de Ligue wins. They also hold the joint record for 8 Trophee des Champions titles. Meanwhile achievements in Europe include one UEFA Cup Winners Cup and another UEFA Intertoto Cup. Thanks to this stunning array of silverware PSG are the most successful club in French history. They’re also the most popular football club in France – attracting support from fans all over the world. 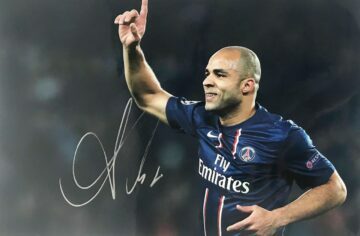 Our signed PSG memorabilia collection features hand-picked items selected for quality and authenticity. 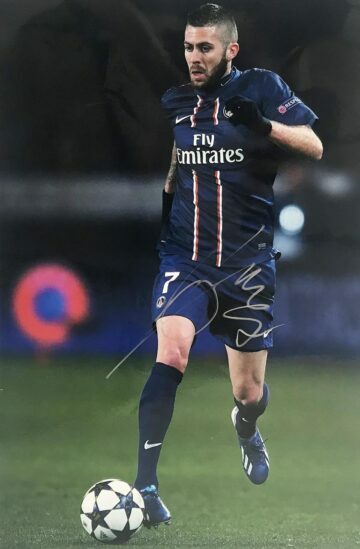 We carefully source each and every one individually – from autographed PSG goalie gloves and football boots to signed PSG shirts & photographs. All items are supplied with a certificate of authenticity.